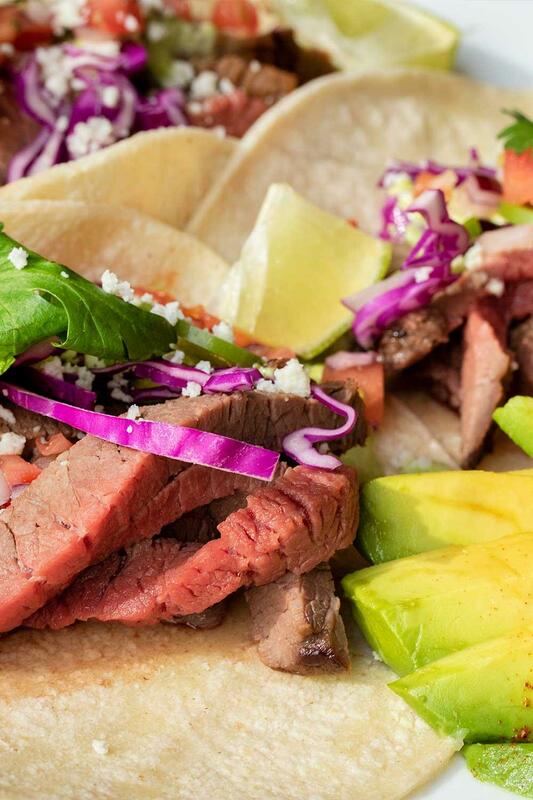 This isn't your granddaddy's venison. 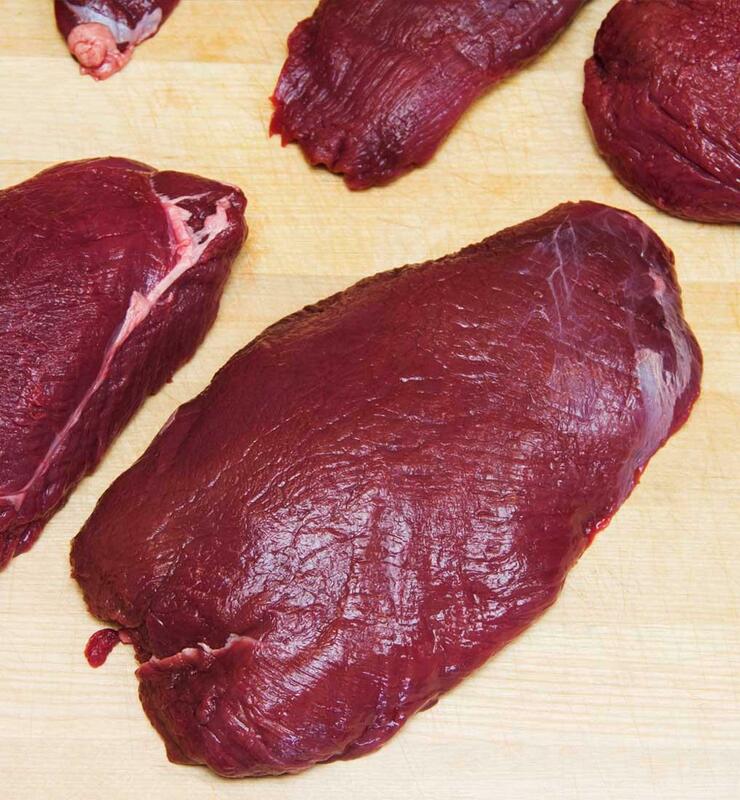 Cervena Venison is farmed free on lush, expansive pastures in New Zealand. The Cervena appellation is a protected and closely controlled designation of origin and ensures that the deer are raised and processed to strict, audited standards. Farm-raised venison is drastically different from wild-hunted. It has a mild and clean flavor and is surprisingly tender because it's raised on a special blend of pristine grasses, not wild forage. This greatly impacts the final flavor and texture. Think of it like wine: those unique flavor profiles are influenced by the terroir and the land where the grapes are grown. The same is true for meat, especially venison. In this test kitchen, Test Kitchen manager Jade and Marx Foods Culinarian Liv took a closer look at a specific cut — the Denver leg — to test the flavor and texture, and experimented with new ways to cook vension, too. Before the shoot, I only had wild-hunted venison from Pennsylvania. Most of the time it was great, but sometimes it really wasn't. I've never had a leg cut that was so tender and easy to cook with. I have had both wild and farmed venison, to varying degrees of gaminess. This was by far the least gamy venison I've ever had. I was shocked by the tenderness. It was much easier to work with than other venison I've cooked. Jade and Liv wanted to dig in and figure out how to use an entire venison leg in ways that were fun, flavorful and equally accessible for fast weeknight meals and delicious dinner parties. In the past, Cervena Executive Chef Graham Brown visited our office to teach us all about working with venison. (Fun fact: he’s also a venison farmer!). In addition to main dishes made with venison, we wanted to test Chef Brown's claims that these cuts are tender enough to prepare and eat like steaks. WHAT EXACTLY IS A DENVER LEG? Each case that we sell contains one Denver leg that's about 10-11 pounds. The case itself is small and manageable — "I could actually fit this in my freezer at home," says Liv. The leg itself is separated into eight muscles split between two vacuum-packs that are each about 4-6 pounds. Some of the cuts can be used right away while others need a bit of quick cleaning to remove silverskin and to trim down into more manageable pieces that are easier to cook. "The ten pound case is accessible to home cooks, especially because it's split into two packs," says Jade. "You can open one pack at a time and have plenty to work with in terms of steaks, medallions and more." "I had a lot of help from Chef Graham's Denver leg breakdown video. 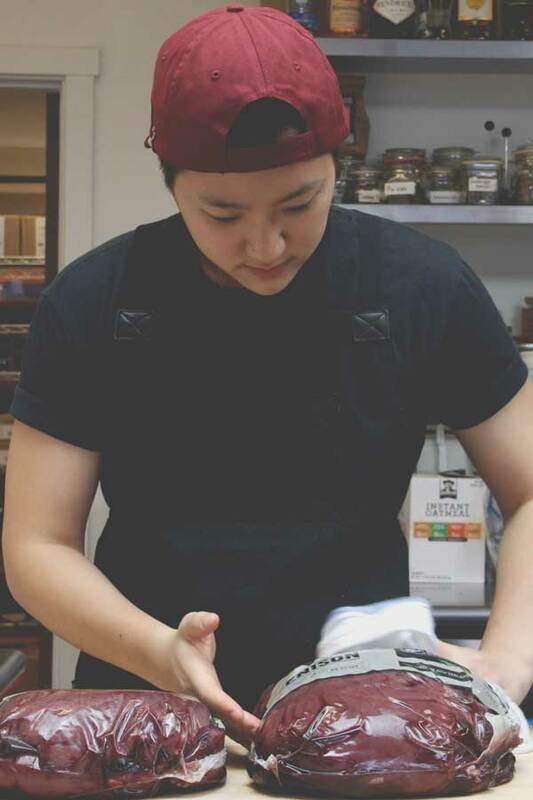 The butchery process was totally accessible," says Jade. "The meat is so tender that the silver skin was very easy to remove." Pro Tip: Drain the venison in a colander in your sink and pat dry before putting the pieces on your cutting board to minimize mess. Jade and Liv put together recipes that would showcase Cervena's natural tenderness and capitalize on the Denver leg's easy-to-work-with demeanor. To test the true tenderness and get a good flavor profile of the venison, they first cooked a few of the cuts (the eye round, part of the topside and cap) as steaks by searing them in a cast iron pan with a generous glug of oil and seasoned simply with salt and pepper. Chef Graham was right: you absolutelycan cut, cook and enjoy the Denver leg just like a steak. 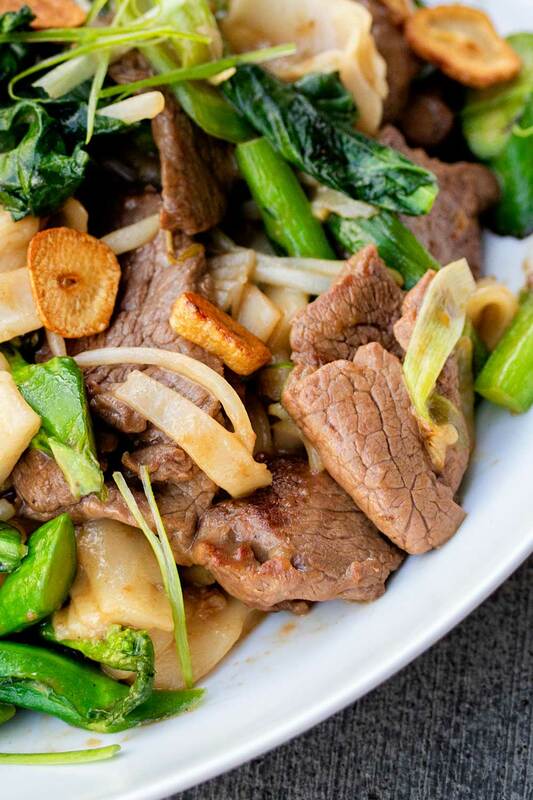 "Venison is a great choice for high-heat cooking like stir fry. I got a nice sear on both sides and it didn't get tough," says Jade. 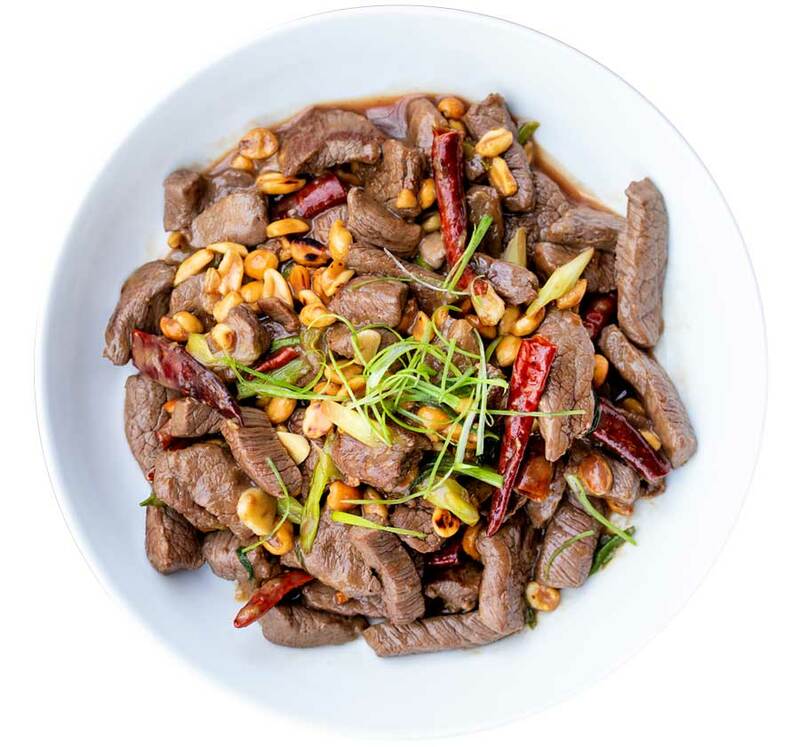 "Part of that was the cornstarch marinade, a common Chinese technique that protects the meat from the intensity of the wok, but using an already tender cut of venison made the final recipes extra delicious." 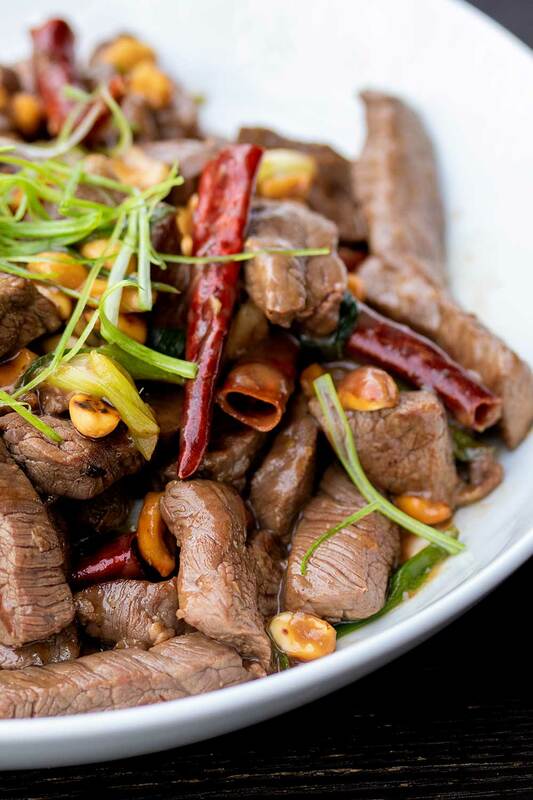 Jade used half-inch cubes from the heart, faux filet and cap in her Kung Pao recipe. "I know we say that it is tender, but I had a hard time believing that as it's the leg. It was extremely tender"
"I committed the 'cardinal sin' of overcooking venison and it was still tender and delicious!" Jade added. "The eye round was definitely more done than I'd hoped, but it was surprisingly not super tough or stringy the way overcooked beef can get." With her mise en place ready to go, Jade's dishes were ready in a flash (and were quickly devoured by the staff!). For her Chow Fun recipe, Jade cut the web muscle into thin 2-inch x 1-inch slices. 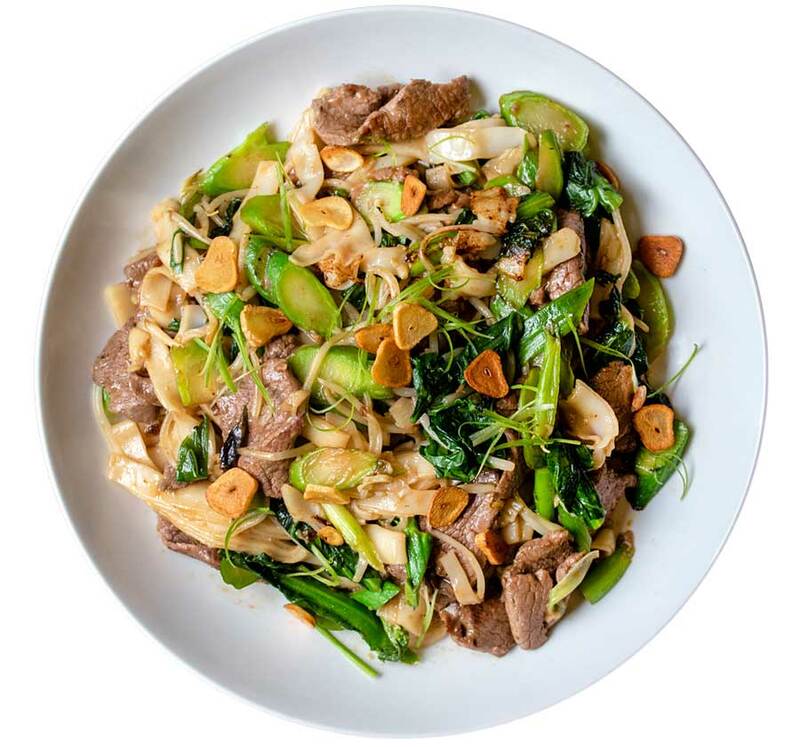 "I've made stir fries with beef flank steak and top sirloin before, and the venison was definitely an improvement," she said. With its distinctive grain similar to a beef flank steak, Liv tested cooking the cushion using similar techniques for carne asada: she quickly marinated it, seared it whole over high heat, let it rest and then thinly sliced it against the grain and then served them wrapped in warm corn tortillas topped with all the fixin’s for the ultimate venison tacos. 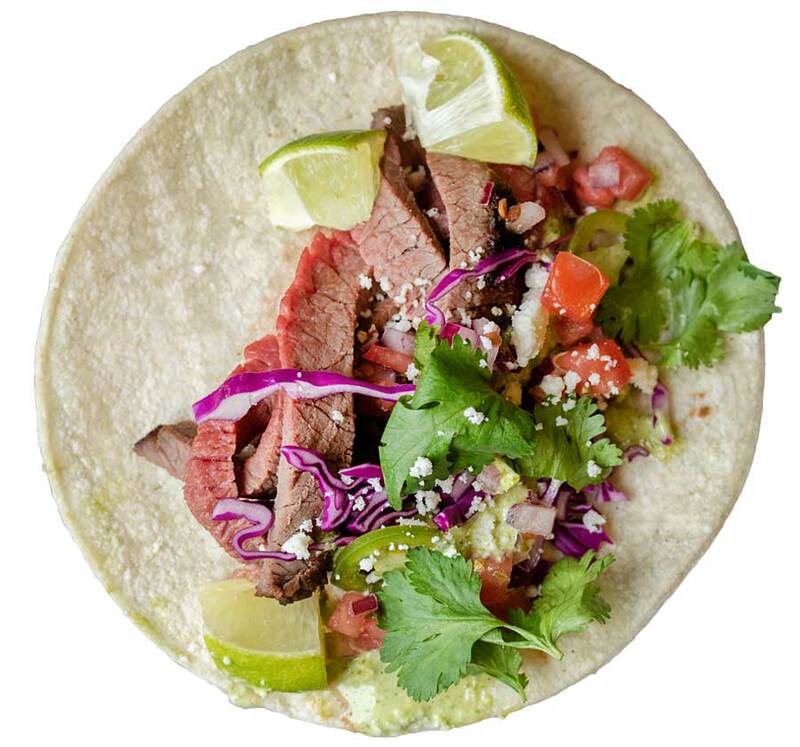 "The cut was so tender that you could actually eat the taco and not pull out a mouthful of steak with each bite," Liv says. "In the future, I'd marinate it for a bit longer with a bit less juice, since this cut is already so tender, and a bit more spice." 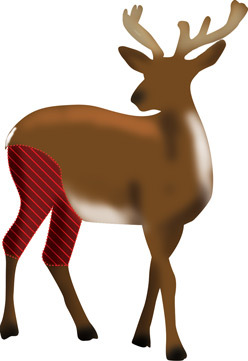 Surprisingly, the leg cuts seem to fare better when prepared using high-heat quick cooking techniques versus the traditional slow-cooking technique that's common for venison and traditionally tougher cuts like those from the leg. Liv's butternut squash and venison chili used cubes cut from the top sirloin. "I wanted to do big chunks for the chili," she said. "A lot of recipes call for ground venison." When Liv first tasted her chili, she was concerned the meat was too dry. She let it simmer for a bit longer, which helped to soften the meat. "I was skeptical," she admits. "But it didn't get too dried out, held its texture well and it was nice and tender yet toothsome." 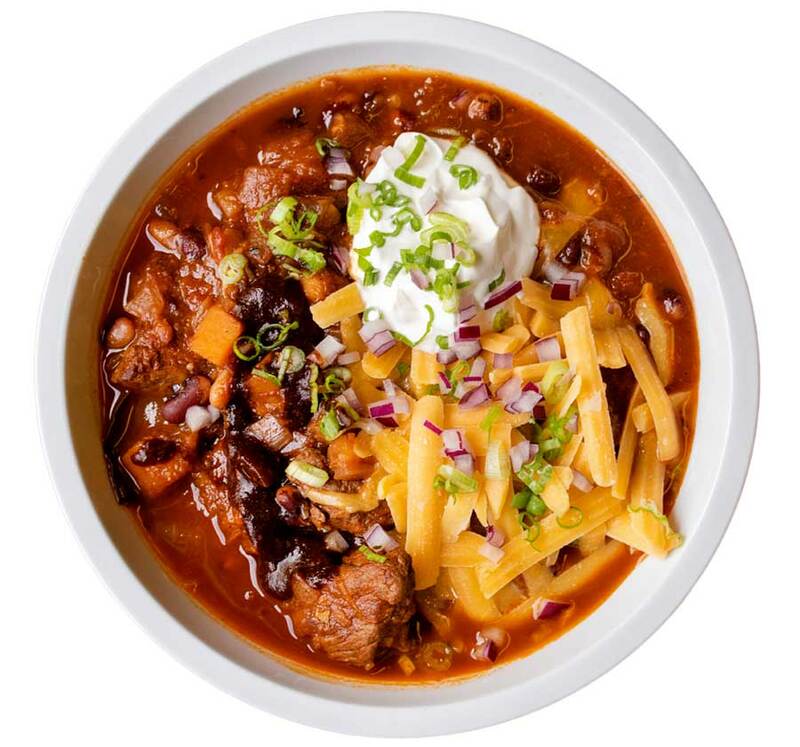 "When I've made venison chili before, I used the shoulder which is a tougher cut that's more suited for braising. As a weeknight meal, this cut from the Denver Leg works perfectly because you don't have to cook it for hours. 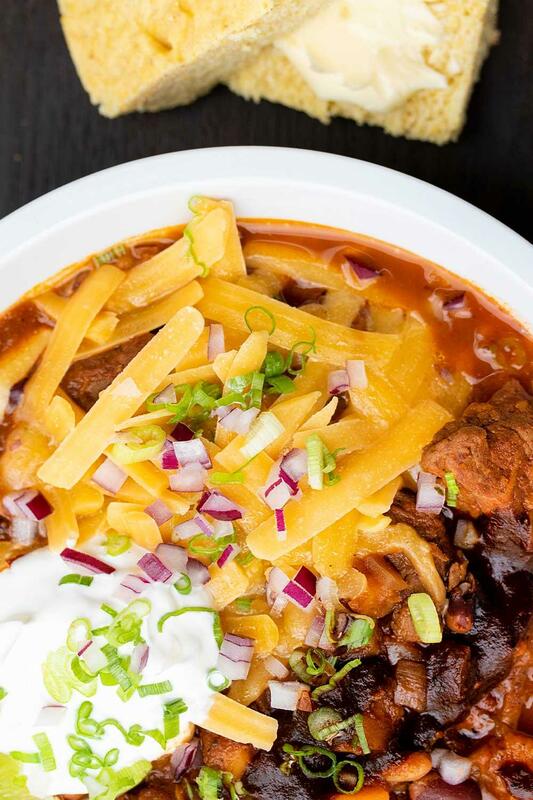 If you have an all-day chili in mind, the shoulder would be a better fit. For convenience and taste, this worked well." The Denver leg is easy to work with, surprisingly tender and incredibly versatile. The mild flavor pairs well with a wide range of flavors and ingredients, making it just as adaptable in the kitchen as beef and chicken. "It's more versatile than ground, and even the most conventionally tough cuts like eye round and inside round were tender enough to eat like steaks," says Jade. "The tenderness of all eight cuts means the leg is super versatile." "It's a cut that, to me, would work well for both dinner parties but could also work for weeknight meals. That's a win." Though the Denver leg stands up to high-heat cooking techniques, it definitely can't stand being overcooked. Venison is tremendously lean. Low in fat and cholesterol, it's also high iron and zinc. Those flavors are intensified when venison is cooked to a higher internal temperature. To best enjoy its mild flavor and tenderness, Jade, Liv and Chef Graham recommend cooking venison to medium at the most. In this Test Kitchen, Jade and Liv pulled their steaks when the internal temperature reached 120°F. 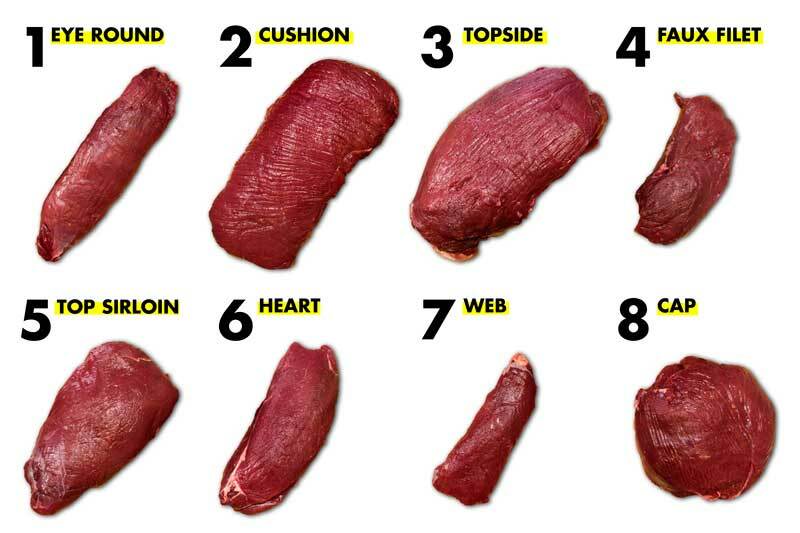 Steak cuts should rest for 5-10 minutes, which will bring the internal temperature up to 130. That's medium-rare. "I wouldn't go higher than 135," says Liv. Reheating venison in the microwave is tricky. "Venison is just so easy to overcook and you can't control that well in the microwave," says Liv. Jade recommends reducing your microwave's power to 50% or less, but says, "the steak cuts were delicious medium-rare and cold from the fridge. They were like roast beef but better." For chili and stir-fries, reheat over low heat on the stovetop or in the microwave on reduced power. "Just be aware of overcooking when reheating just like you do when you cook the meat for the first time," says Liv. For more venison cooking tips and tricks from Executive Chef Graham Brown, check out our Venison FAQ Series on YouTube!